Chennai: The airport tunnel work that will connect new satellite terminal with current terminal will now be carried via tendering process by Airport authorities. Earlier Chennai Metro Rail Limited (CMRL) was going to build it. As per recent development, CMRL will not be constructing the terminal. The Airport Authority of India (AAI) will now invite tender for the same. The AAI also stated that CMRL can participate in the tendering process. The airport tunnel work is designed to connect new satellite terminal with the existing one at the Chennai airport. AAI will now float a tender to finalize the contractor to take up the construction work. The winning bidder will then construct the tunnel and both the terminals. In the beginning, it was planned that CMRL would take up the tunnel work. But now there is a change of plan, the reasons for which is not clear. AAI official informs that CMRL can participate in the tendering process. In case, they win all the work will be done by them once they get selected. The official also shares that they want the work to begin at the earliest. 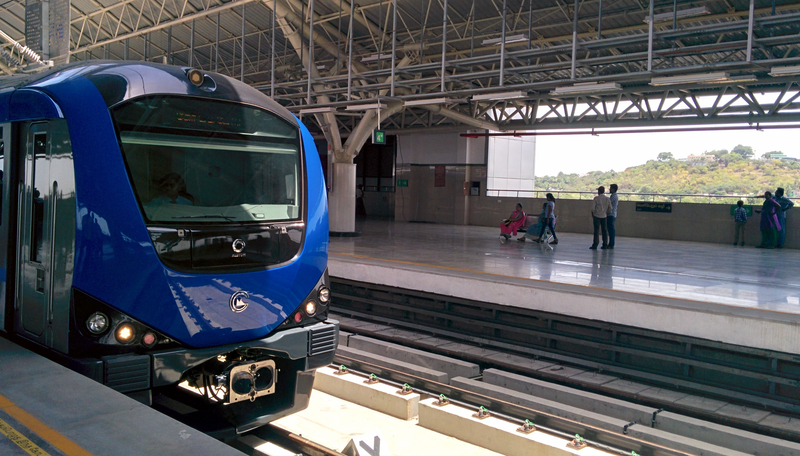 The CMRL officials, on the other hand, shared that they are not aware of the recent development. The AAI wants to build a tunnel and a satellite terminal as the current one is reaching a saturation point and largely remains congested. As per the plan, the tunnel will link the current domestic terminal with the international terminal of the airport via satellite terminal. This will be positioned between the main and secondary runway and also nearer to the remote bays (supplementary bays in the apron for aircraft). Along with this project, Chennai airport has planned various infrastructure development works. This includes building an integrated terminal along with various runway related works. CMRL official shared that they are not aware of the new development with regards to terminal work. Previous articleBullet Train | Is the ambitious Bullet Train Project is financially viable in India?